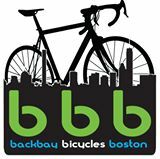 Hannah from Back Bay Bikes will go over how to perform a proper brake adjustment on your bicycle in this hour-long workshop. E-mail studentlife@the-bac.edu to sign up! The Office of Student Life and Back Bay Bikes wants to help support our student cyclists. If you have ideas for a bicycling-related workshop that you'd like to bring to campus, e-mail studentlife@the-bac.edu!